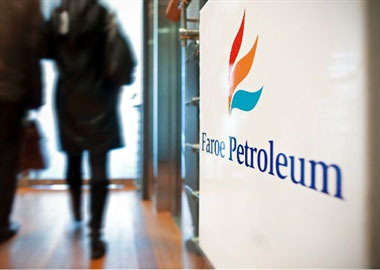 Faroe Petroleum, the independent oil and gas company focusing principally on exploration, appraisal and production opportunities in Norway and the UK, has announced that the partners in the Oda (previously named Butch) field (licence PL 405) have submitted the plan for its Development and Operation (PDO) to the Norwegian Ministry of Petroleum and Energy. The Oda field (Faroe 15%) was discovered in 2011, in the Norwegian North Sea, in shallow water approximately 13 kilometres east of the producing Ula field (Faroe 20%). The proposed development will include a 4-slot seabed template with two production wells, and one water injection well, which will tie back to the Ula platform. Oil will be transported via the Norpipe system to the Teesside Terminal in the UK, while the gas will be sold at the platform to Ula for re-injection into the Ula reservoir to improve recovery. This subsea tie-in presents an innovative solution, reusing the existing Oselvar infrastructure (Faroe 55% and operator) from the Ula platform. Production from Oselvar will cease in order to allow Oda production to commence and the Oselvar owners will be compensated accordingly. The Oda partnership (which includes Centrica Norge (Operator 40%), Suncor Energy Norge (30%) and Aker BP (15%)) has worked over the last two years to reduce investment costs by over 40%. Expected investment has been reduced to around NOK 5.4 billion (Faroe net £82 million), with production scheduled to commence in 2019. 2P reserves from Oda are estimated to be 42 mmboe, of which 95% is oil and peak production is anticipated to be around 35,000 boepd (Faroe net 5,250 boepd).